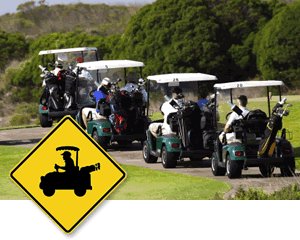 Golf courses mean Golf Cart traffic. 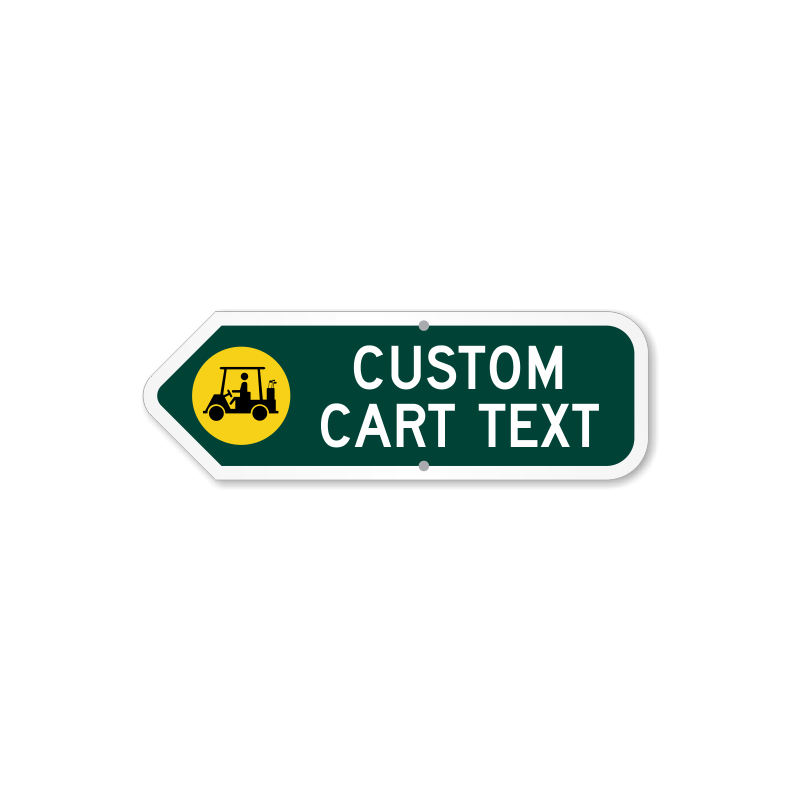 Post signs to alert drivers to Golf Cart Crossings. 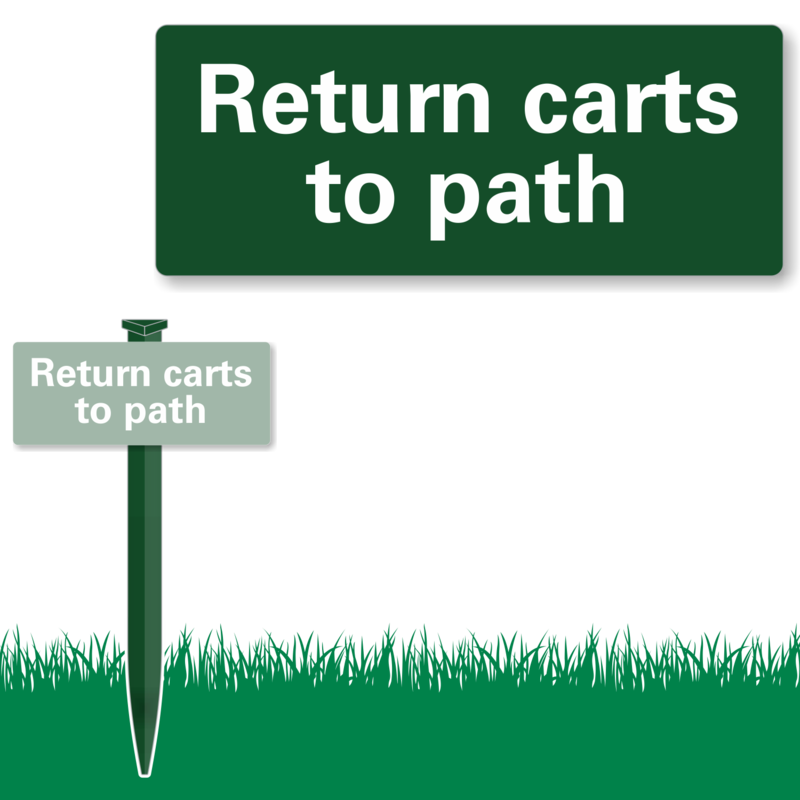 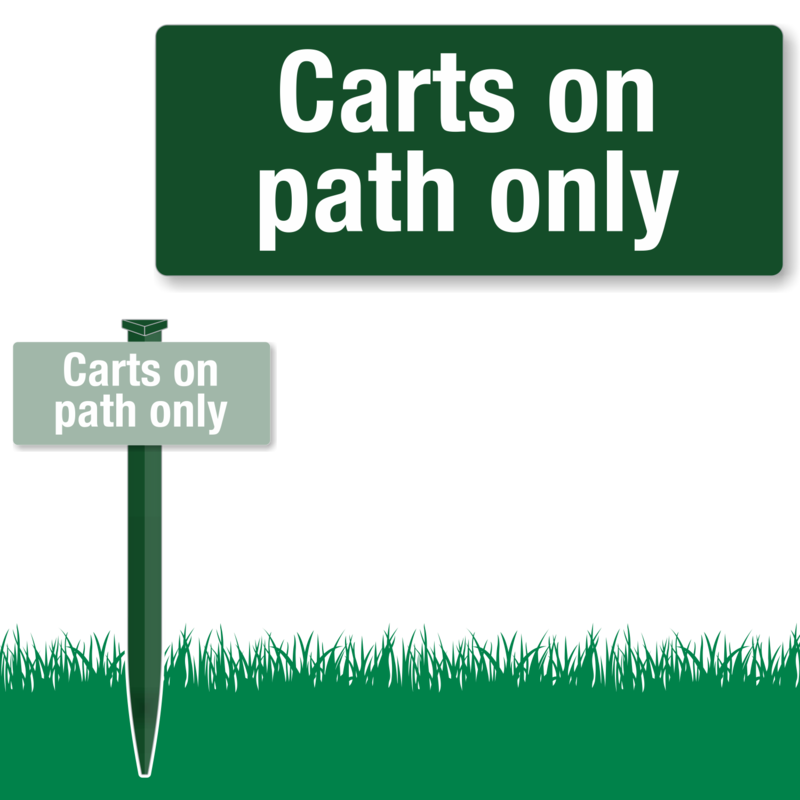 Supplemental signs help specify exactly when upcoming crossings occur, while golf parking and directional signs ensure your golf cart is organized and easy to navigate. 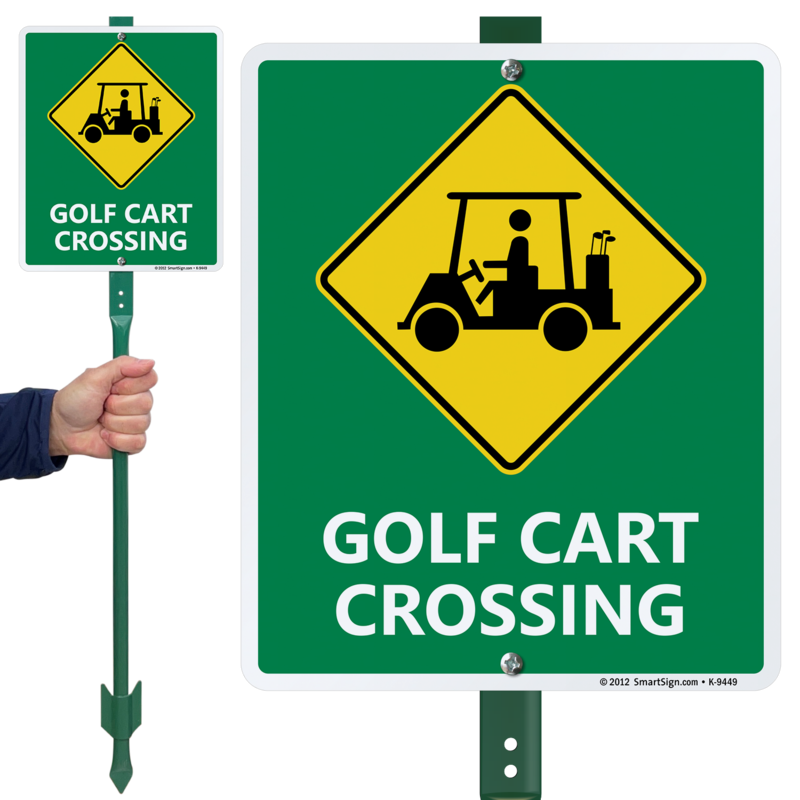 Whether used within your facility to caution pedestrians or near roads to alert drivers, these signs identify Golf Cart Crossing areas to help keep everyone safe. 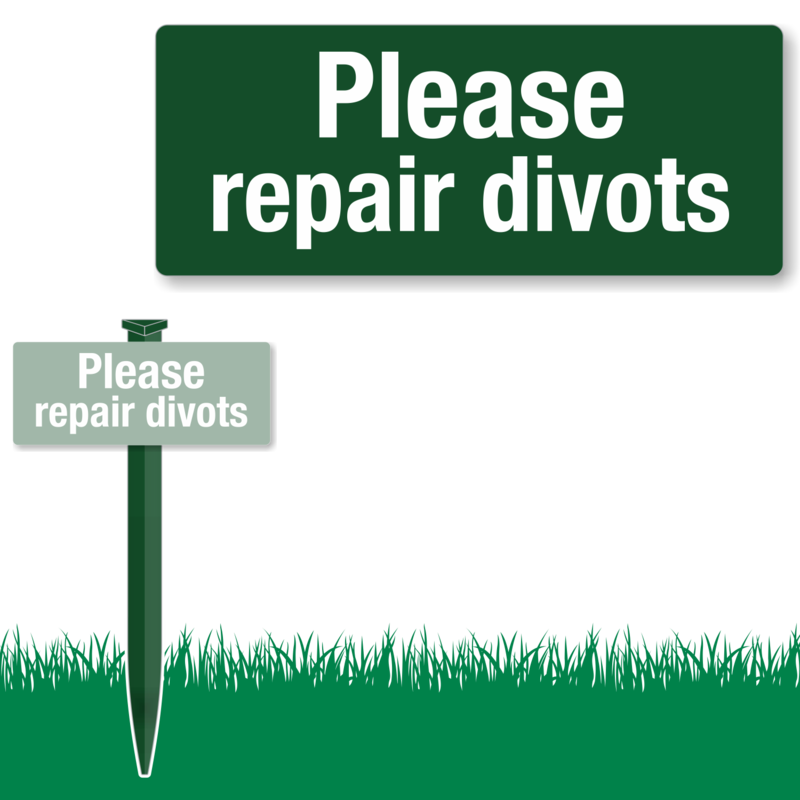 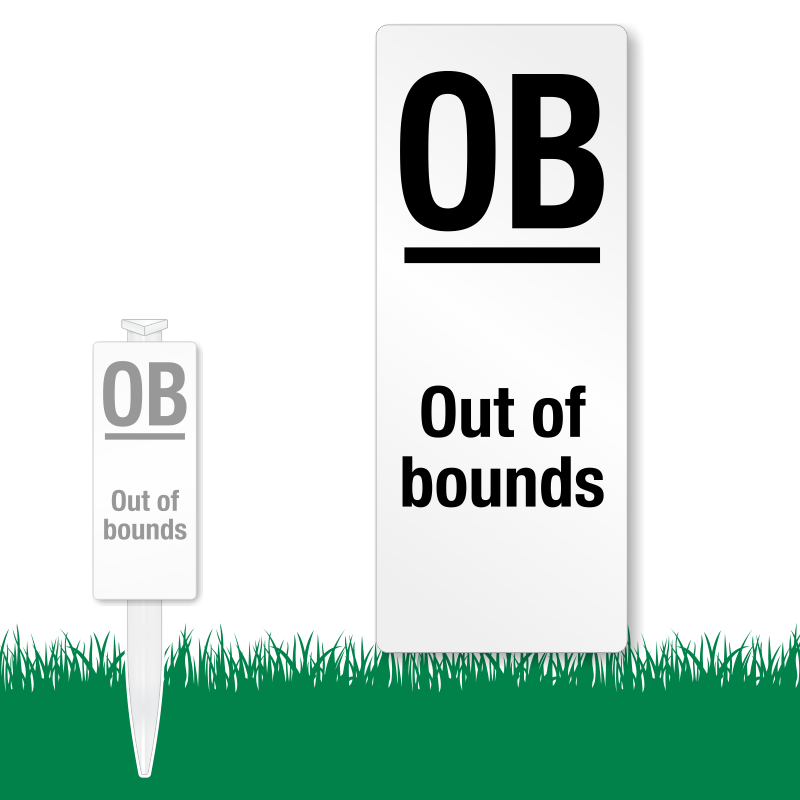 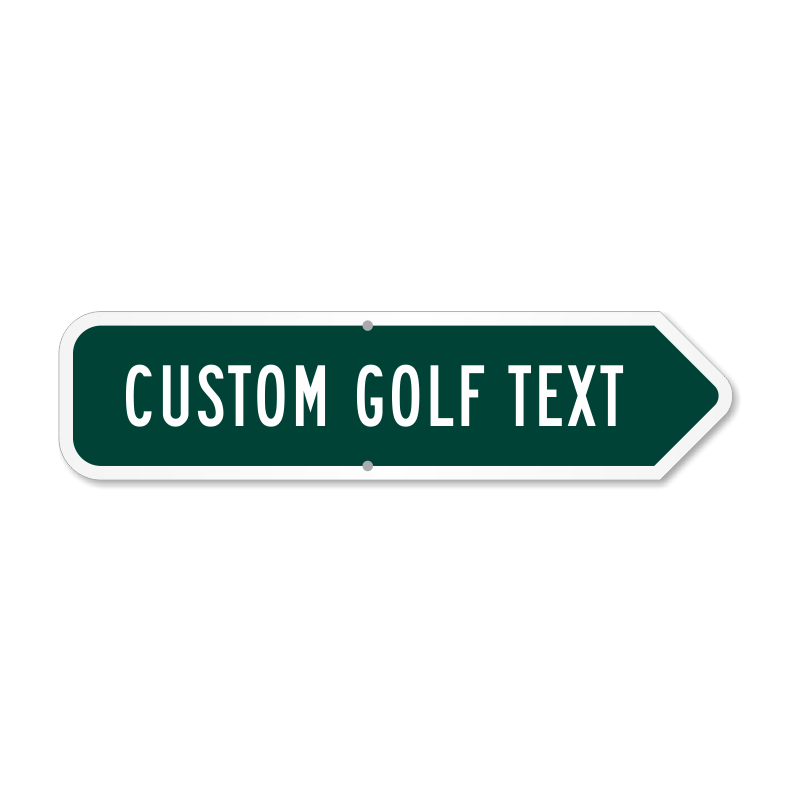 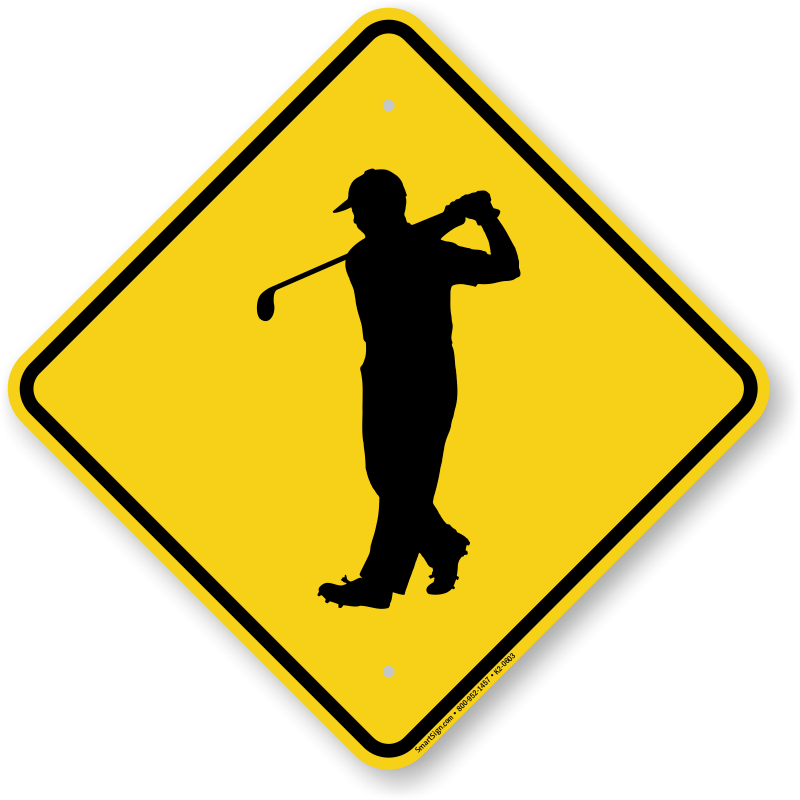 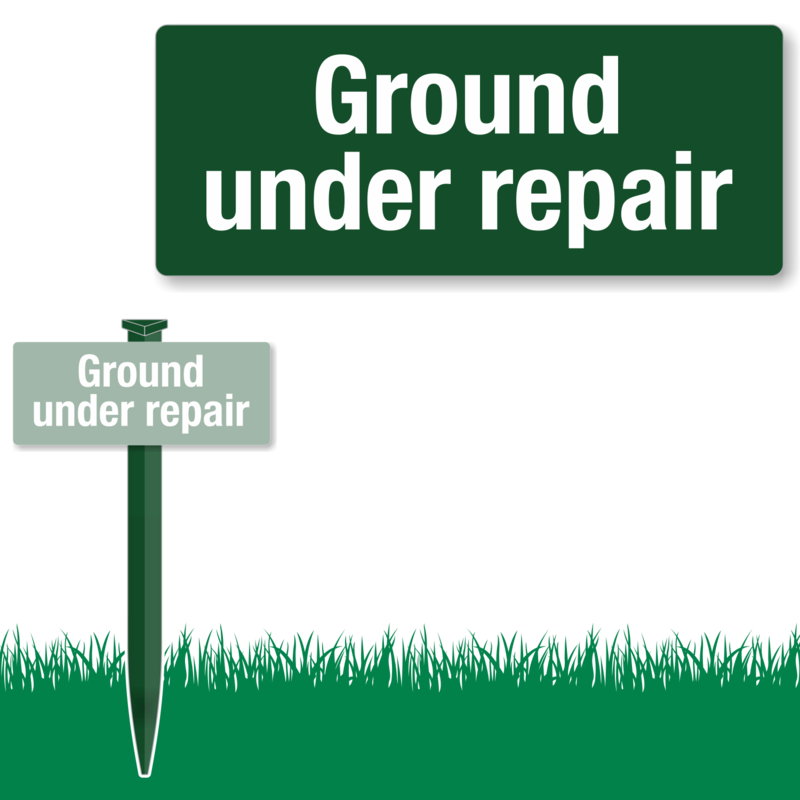 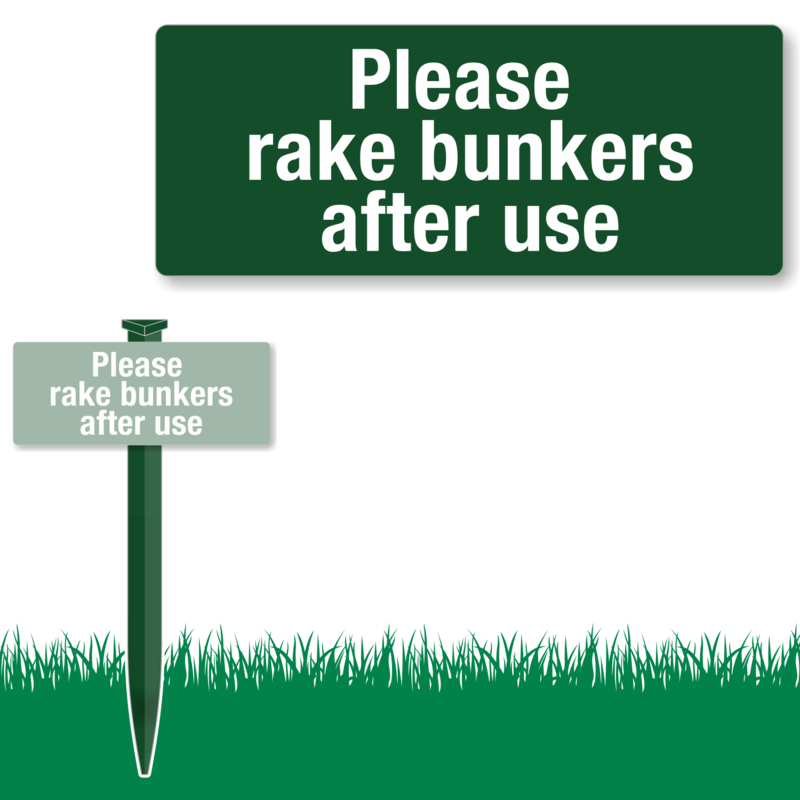 Browse related golf course signs below as well. 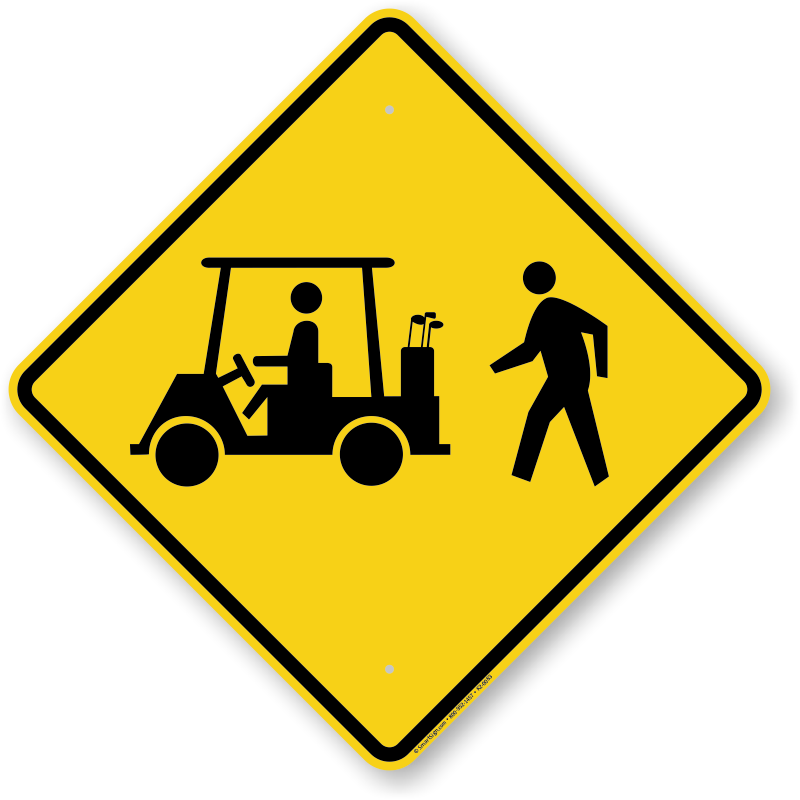 • Fluorescent signs are especially visible at dusk and dawn – the times when most accidents occur. 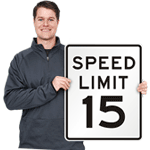 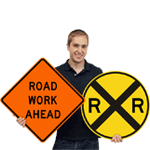 Lower-cost reflective engineer grade aluminum signs are also available. 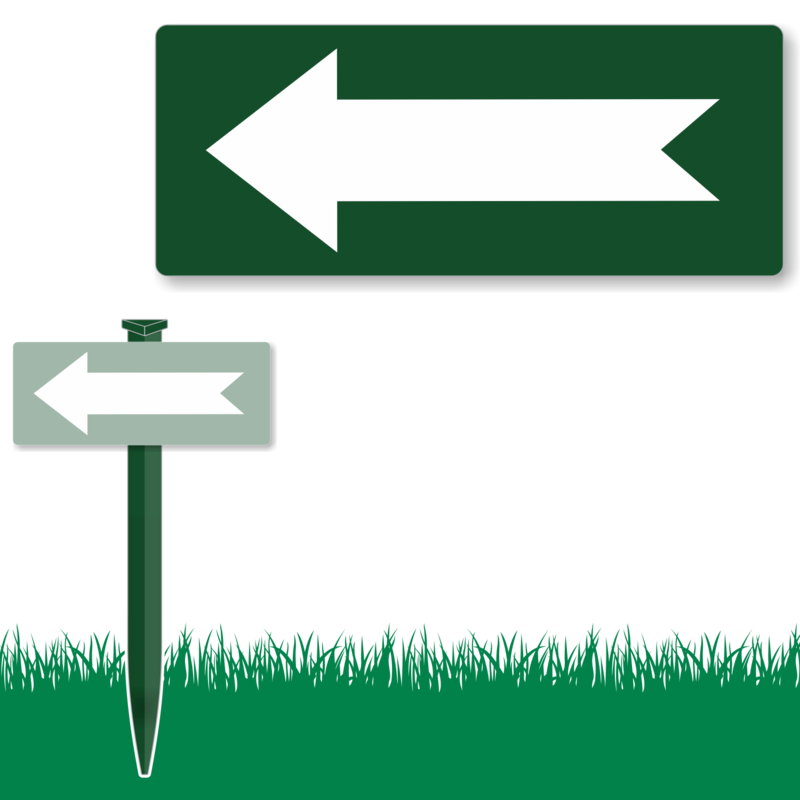 • Add a supplemental signs to point to the path or indicate the number of feet before the crossing. 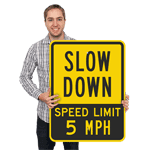 Give vehicles plenty of time to slow down before the crossing. 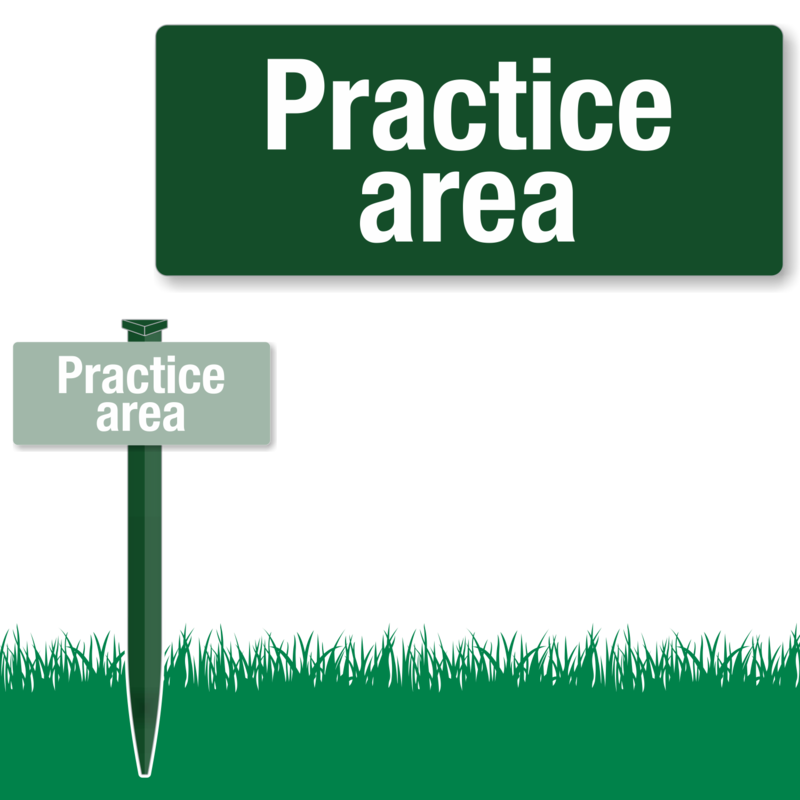 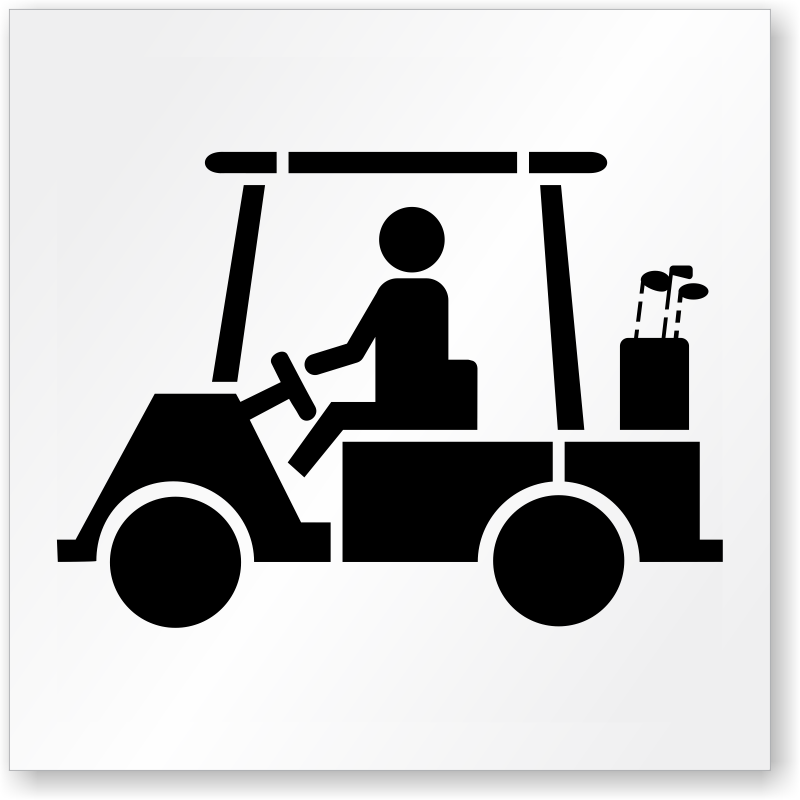 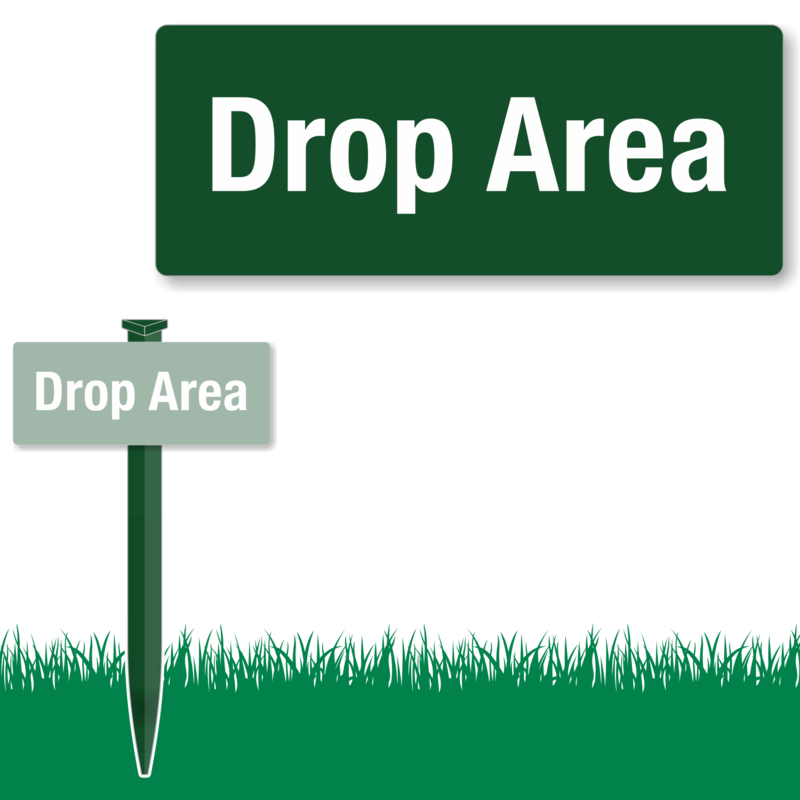 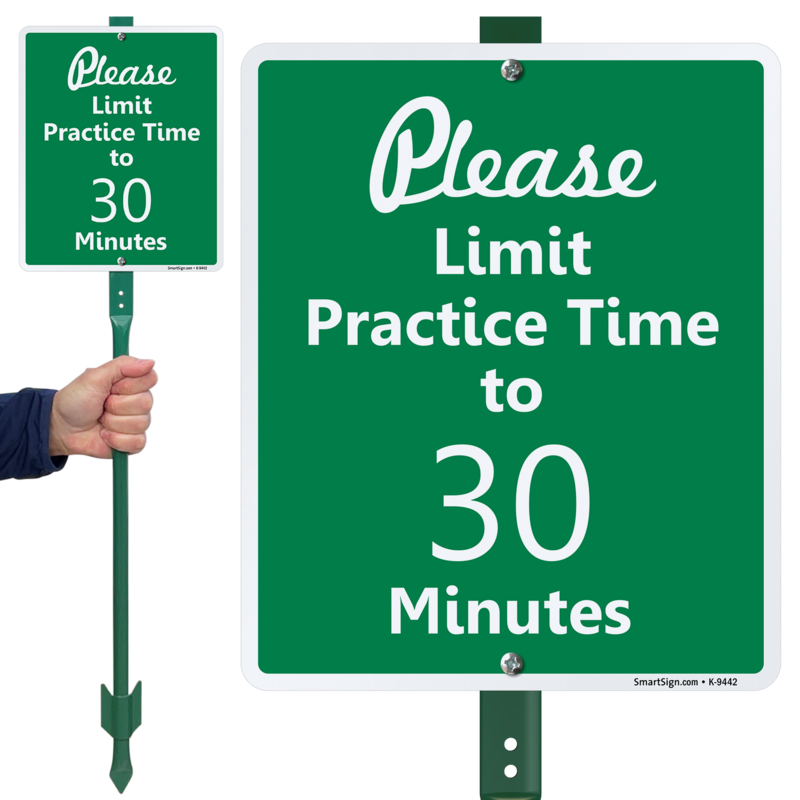 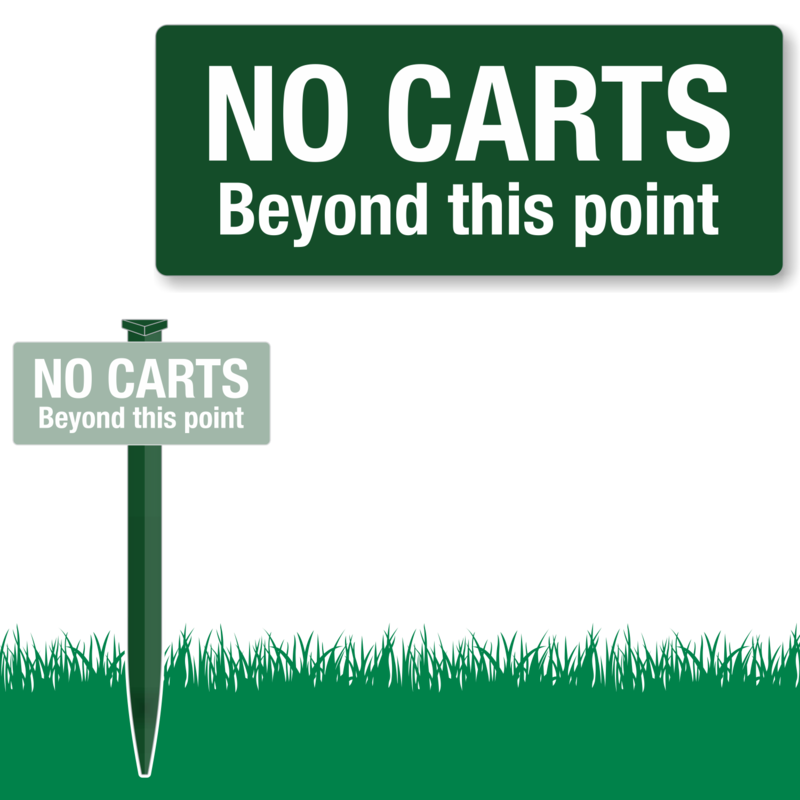 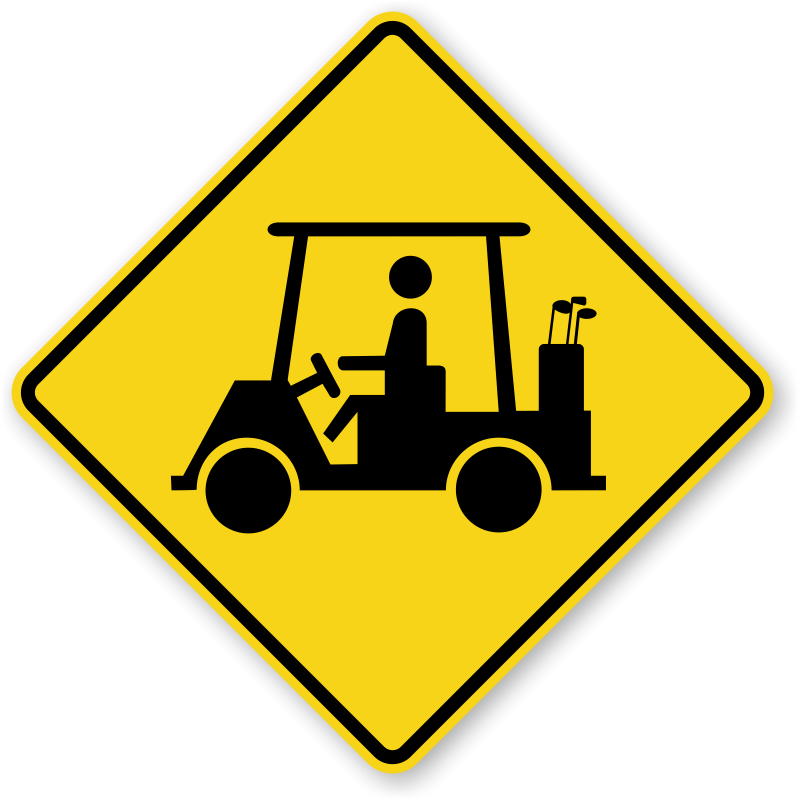 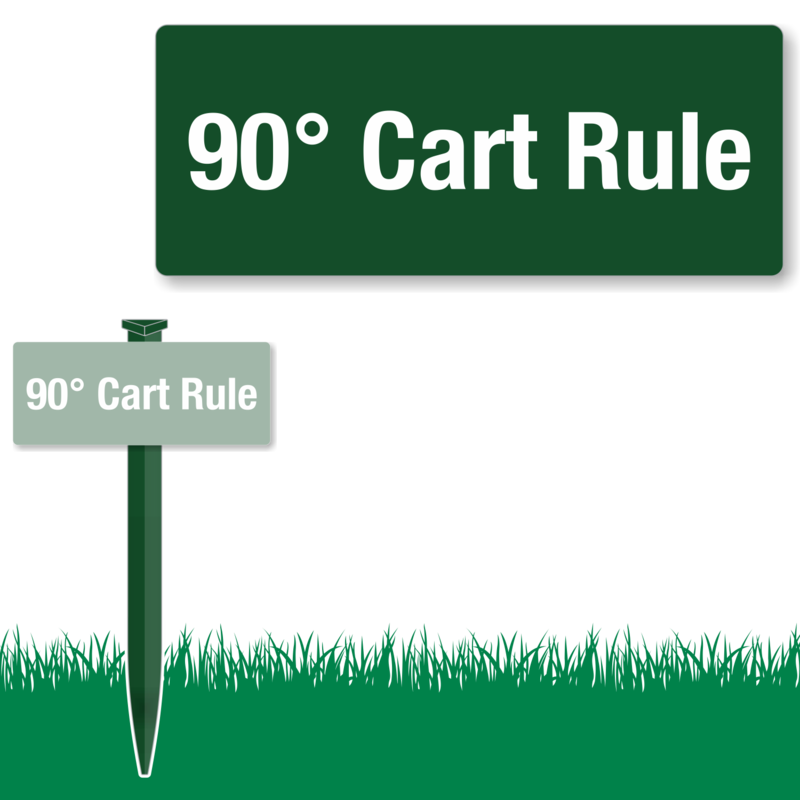 • Use these signs to identify Golf Cart parking and storage areas and to direct golfers around the course. 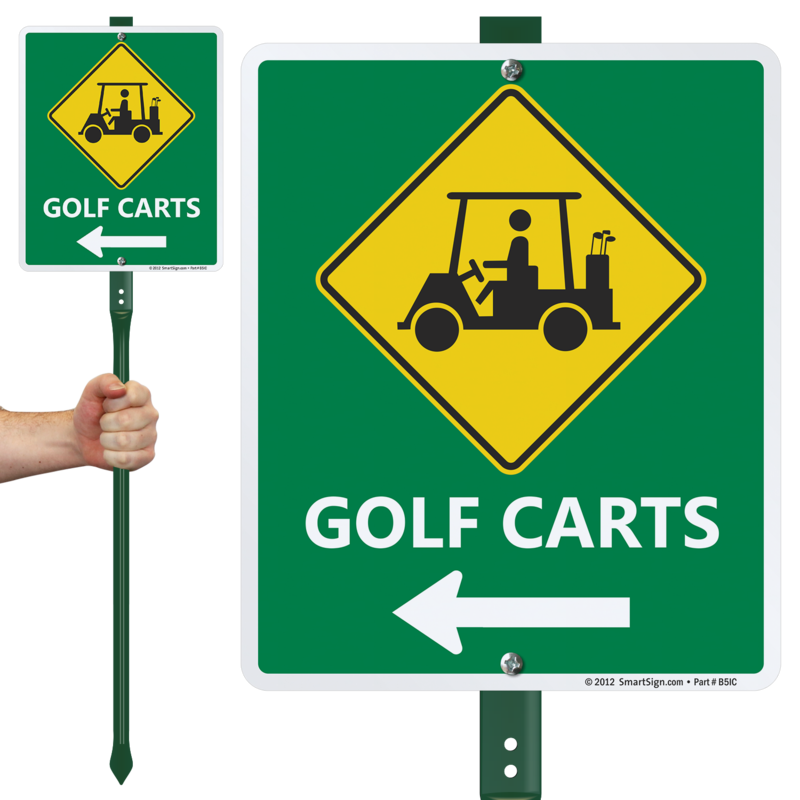 The signs look great! 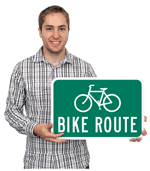 I am very pleased with how they turned out and how fast they arrived. 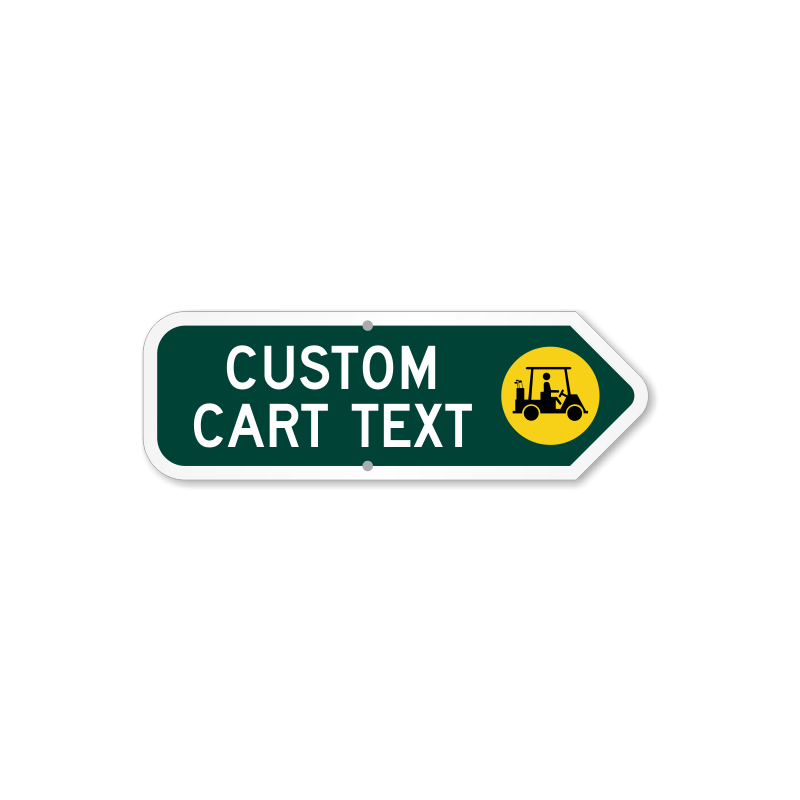 Awesome purchase of golf cart sign ! 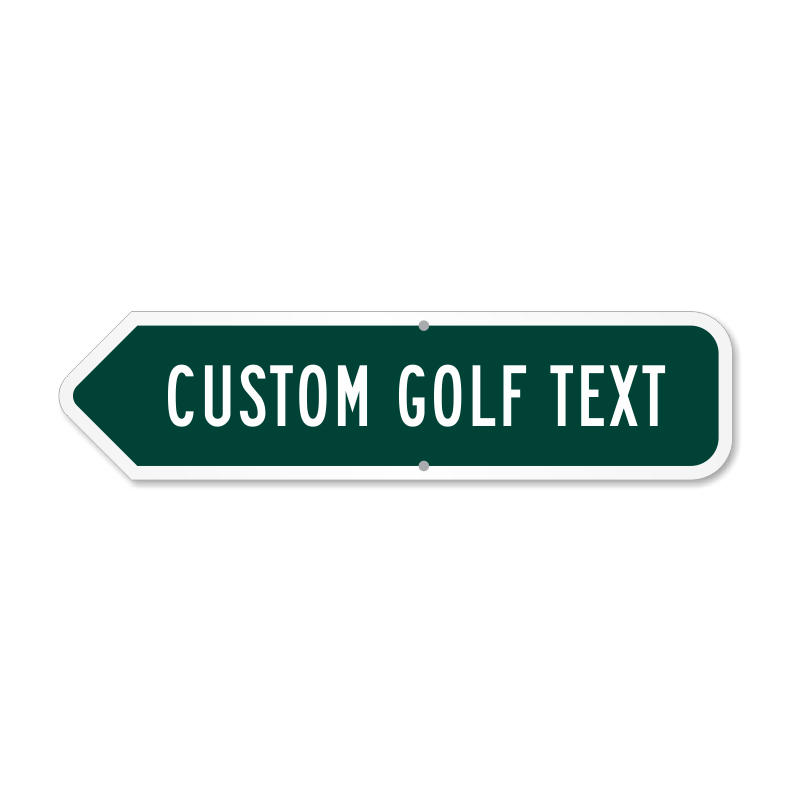 Awesome sign ! 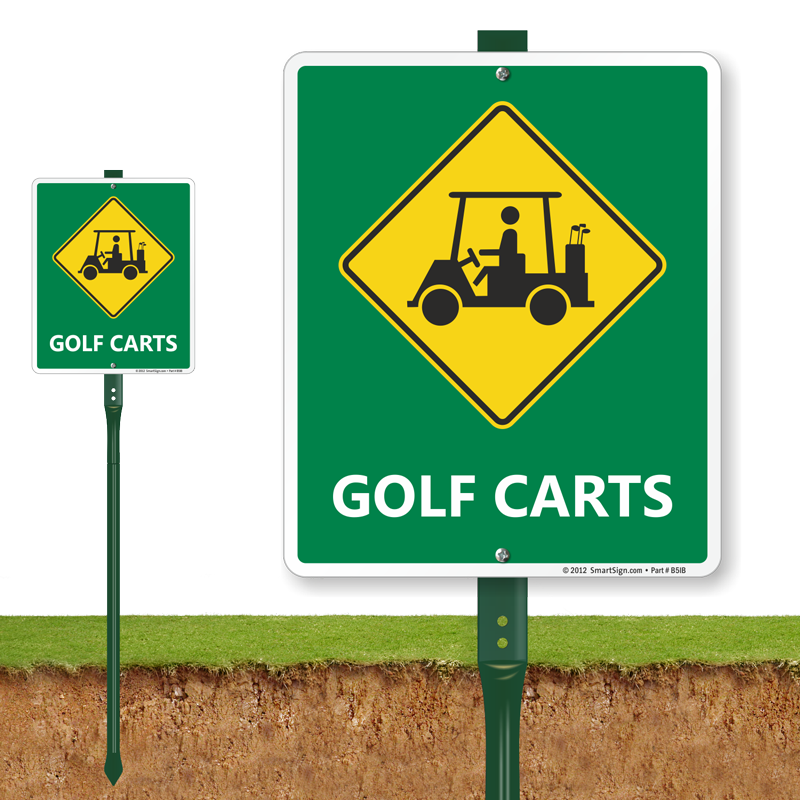 Love it - - Hung up in my garage, next to our newly purchased golf cart. 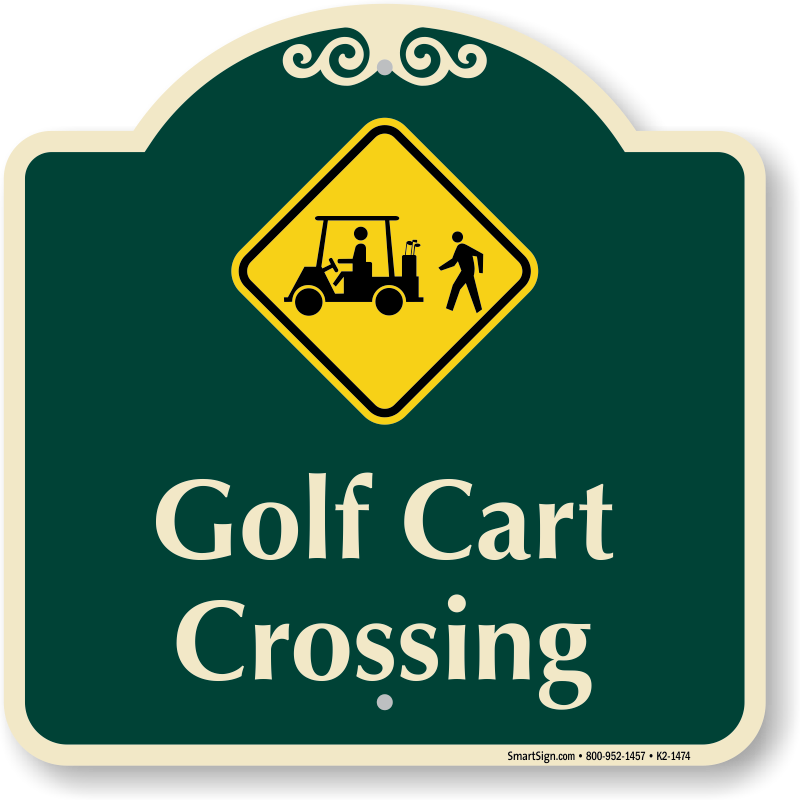 Our grandkids love it ! 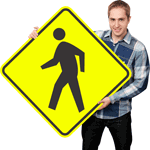 Nice size, very viewable - - good to have !